The March for Science Mobile, AL is an official satellite of the national March for Science. Our inaugural march was held on 22 April 2017, the same day as the national march held in Washington, D.C. and in over 700 cities worldwide. If you would like to read more, the national march has assembled a robust set of documents, including a detailed Mission, Principles and Goals, and Diversity Principles. Science is particularly important to the Mobile region. We celebrate the vital role of science in our community. We know that science education is important for the success of today’s students in tomorrow’s economy. We passionately believe that science informs our curiosity and wonder at the beautiful natural world that surrounds us. And we know that science affects everyone, regardless of political affiliation. We also recognize that, in order for science to continue to thrive, it must be supported by the public and play an important role informing policy. We want to show we care about the place science has in our democracy. We are committed to the idea that diverse participation in and support of science makes science better for everyone. To that end we welcome people of all races, ages, faiths, sexual orientations, gender identities, abilities, immigration status, and classes, who care about science and its role in society. See the national march Diversity Principles for more information. The March for Science in Mobile is led by a small group of passionate advocates of science. We are students and we are professionals. We are scientists and non-scientists. We are Mobile natives and transplants. 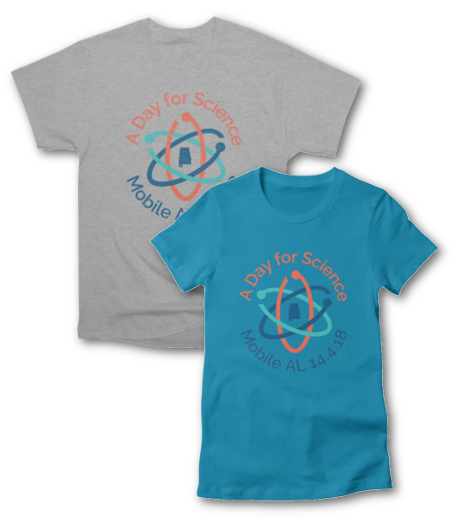 We love science and we love Mobile, and we want to give others the opportunity to show they feel the same way! Our beautiful featured photos of Mobile, the delta, and our coast have been used with the generous permission of Sam St. John at FlyTheCoast.com. FlyTheCoast provides aerial photographs and video of the Alabama Gulf Coast which highlight the natural beauty and sensitivity of our vital coastal environmental resources for tourism, recreation and economic development.